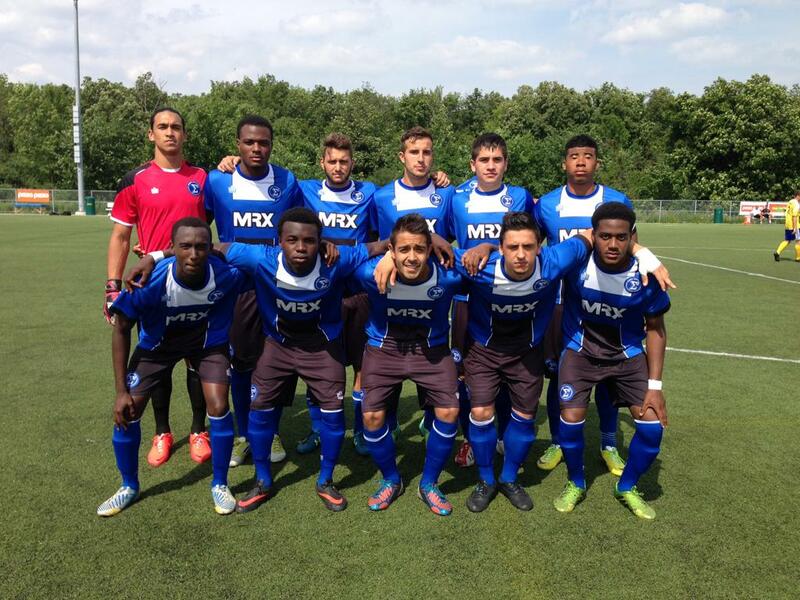 A Cyle Larin hat-trick highlighted Sigma FC’s 9-1 victory over the visiting Kingston Cataraqui Clippers at Hershey Centre in Mississauga on Saturday afternoon. It was a performance that coach Bobby Smyrniotis was justifiably happy with. The Clippers started the game well, getting positive play down the wings through Tommy Hong and Luke Phye, resulting in set plays that tested Sigma goalkeeper Greg Ranjitsingh. However, the common theme of the game was high pressure from Sigma’s front three of Larin, Emery Welshman and Justin Stoddart. This constant threat gave the Kingston defence considerable problems and led to the opening goal, a defensive mix up in the seventh minute that saw Welshman latch onto the loose ball and easily finish past keeper Thomas Daechsel giving Sigma a 1-0 lead. 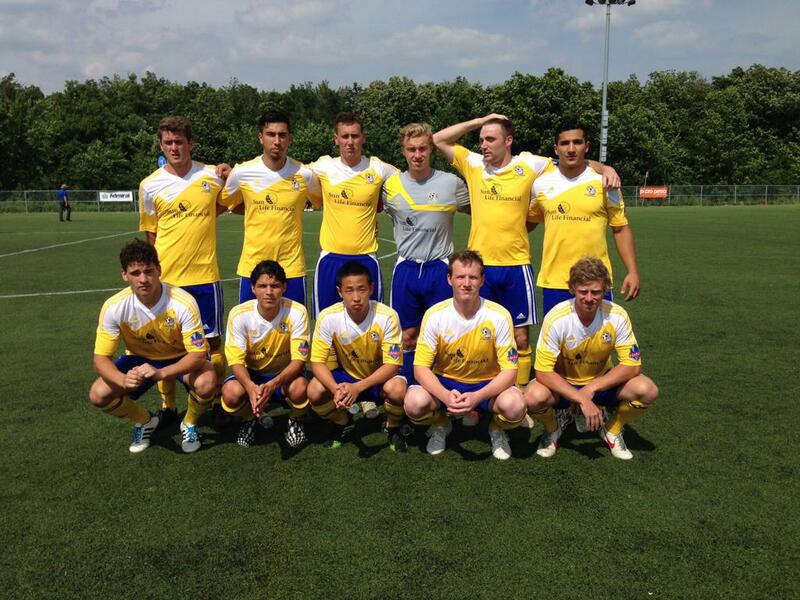 Scoring an early goal gave Sigma noticeable energy, and they continued to work the ball around the midfield, creating angles and playing combinations that got other players, like midfielder Alex Halis, involved. The positive play and pressing style saw the hosts score a second goal twelve minutes later, with Larin getting on the board after pouncing on a rebound created by Daechsel, who spilled a shot from long range. However, the Clippers responded immediately, pulling one back in the twentieth minute through Timothy Campos, who got on the end of a quick break down the left side and finished smartly, beating Ranjitsingh to his left side to make it 2-1. That goal gave the away side a spark and they nearly levelled the score moments later through a Campos free kick that struck the crossbar. Sigma regrouped and would add a third goal in the twenty-ninth minute, with Larin working his way down the right side and beating his defender before squaring the ball to Halis, who fired it in the top left corner to make the score 3-1 going into the break. It was Kingston that started the second half the brighter of the two sides, with chances from set pieces and testing opportunities created by Hong, Antonios Assaad and Oliver Coren. Just when it looked like the visitors were going to make this a close game, three Sigma goals in quick succession, from the 54th to 56th minute, essentially ended the contest. Halis would get a second goal, which was sandwiched around a pair of Larin tallies that gave the big forward a hat-trick. Larin's second goal of the game stemmed from good work down the left wing through Stoddart and Kwame Awuah, resulting in the fullback Awuah delivering a good cross that Larin only needed to tap in. His third marker was scored as a result of nice work by Welshman that freed Larin for an initial shot, that Daechsel stopped. However, Larin made no mistake with the rebound, directing it neatly into the goal. Larin's performance wasn’t lost on his coach. 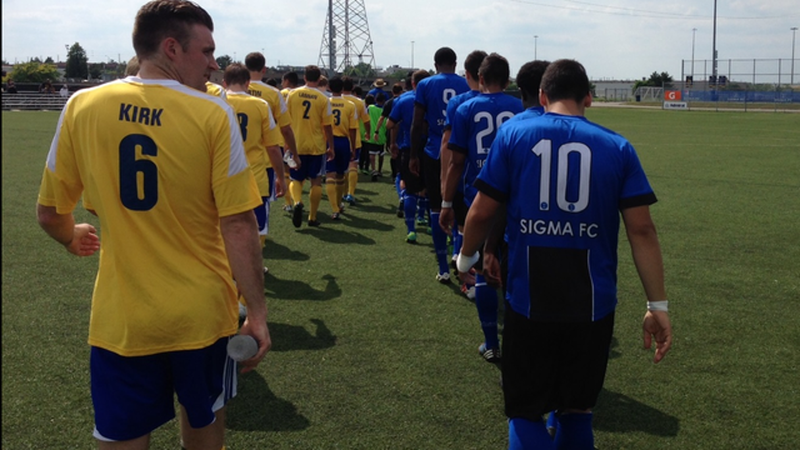 Welshman and substitutes Jordan Stoddart and Lucas Ferritto would cap off the day with three more goals for Sigma. The goals aside, Sigma’s injuries in defence saw some players forced to step up and play out of position, something that Ranjitsingh recognizes was key to the result. It’s difficult to take much of anything out of 9-1 defeat, but for coach Kingston Chris Eveleigh, there are some small aspects that can be built upon.